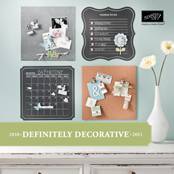 I am SUPER EXCITED to show you my 2010 Family Calendar that I made using Stampin' Up! 's My Digital Studio!! This was my first time EVER making a digital calendar, and it took me a little longer to make than expected. We didn't really get to use much of the January Calendar Page...oops! I also sent copies of this to both my parents and to my hubby's parents as belated Christmas presents...yes, they received other things on Christmas, but this was something I had wanted to give them as well. PLEASE NOTE: These images are LARGE FILES, so please be patient if they take awhile to upload. I couldn't figure out how to get them any smaller than I had already configured them to be. My 2009 Christmas Letter & Family Photo using My Digital Studio! The other day my friend Michelle wrote a comment on one of my posts mentioning how much she liked the Christmas Letter & Photo I sent to her. Then it hit me, why haven't I posted it?? I did use My Digital Studio after all! And seeing as this post is not nearly as outdated as my last two, I'm feeling not quite as embarrassed!! Enjoy! This is an 8 1/2 x 11 scrapbook page that I made with the photo only option on My Digital Studio. This means all there is on the page is the nine squares for photos. I was able to add the papers, text, stamps & elements that I wanted to add. Also, if it looks a little familiar, I wanted it to coordinate with the photo card I had made above. After I created it, I saved it as a jpeg image & then pasted it onto a word document. I had it printed at Kinkos/FedEx with our actual Christmas Letter printed on the back. The colors were not 100% true to Stampin' Up! 's colors, but I thought it turned out very nice. Here's the wrap up of my posts of my FIRST EVER My Digital Studio Digital Scrapbook. I can hardly wait for my book to arrive this week! Don't forget that you can click on the images to view them larger. PS...Did you know that if you host a $400 workshop from now until November 30, 2009, that you can choose to purchase My Digital Studio for HALF PRICE?? Woo-Hoo! Please contact me for more information!! To place your order for your My Digital Studio, to check out the Deal of the Week, to shop the Clearance Rack or any other Stampin' Up! products, just click on this link & then click on the "SHOP NOW" button in the top right hand corner under my name! My FIRST "My Digital Studio" Project!! I am pumped to show you this project that I created using Stampin' Up! 's "My Digital Studio". Although what I am about to show you is a digital scrapbook, My Digital Studio (MDS for short) has so much more to offer...think of MDS as your digital paper crafting solution! 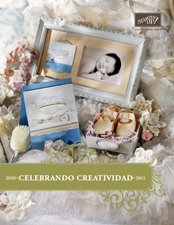 You can create cards, scrapbooks, calendars, mulit-media (DVDs), personalized stationary, blog banners, etc! You can use it as a design studio, so that you don't use up your valuable supplies trying to figure out what you want your project to look like. 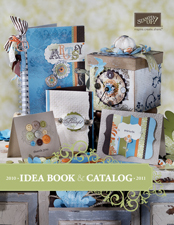 It has tons of stamp sets, ribbon, buttons, Simply Scrappin' Kits, Designer Series Paper, Hodgepodge Hardware...right at your finger tips. If you are new to Digital Paper Crafting like I am, YOU WILL be able to figure this program out! It is VERY user friendly! One of the features I really am enjoying about MDS is the Designer Kits, which means that the ULTRA talented designers at Stampin' Up! have already created pages, cards & calendars ready to go for you to fill in with pictures & journalling!! You can keep it as is or change it as you see fit! For those of you who are Digital Paper Crafting Pros, there is much for you to sink your teeth into! You can start with a literal blank canvas and design & create to your heart's content!! You can click on each image to see a larger image. Don't worry the rest of the album does not use this same layout! I'll be showing you the rest of the scrapbook over the next few days, so stay tuned!